The idea of purchasing an investment property may be daunting to consider at first. Typically, people don’t start large-scale property investing until after they have built a career, established a family and purchased their first home. However there are some advantages to starting earlier. Young investors have the luxury of time and the room for more risk taking, while seasoned investors, have more financial experience and more access to resources. Property investing is worth exploring no matter what stage of life you’re in. If you’re just getting started, here are seven property investment tips to keep in mind when building toward your first investment property venture. Know where you stand financially – Investment property requires close to 20% of the down payment in order to secure traditional financing. Lenders consider your credit score, employment history and financial portfolio to determine your risk level as a borrower. An FHA loan is another way to secure an investment property loan, however there’s a principal residency requirement which requires the property owner to live there for at least a year. If you’re approved for an FHA loan, property with one to four units can be purchased for as little as 3.5% down. Start small – Perhaps launching into a 10 plus unit investment is not the wisest first step for new investors. Start small but think big. Some investors suggest that your first investment should always be your primary residence, whether it’s a single family or multi-family venture. Since you have to pay to live somewhere it might as well be going toward property that can benefit you in the long-term. 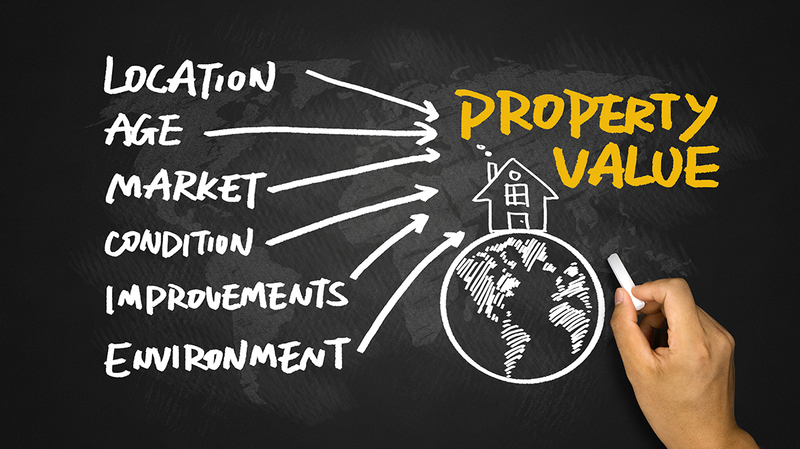 Keep your emotions in check – Property investment is about economics, not emotion. Purchasing a family home is an emotional decision, however if it’s a matter of investment it should be purely logical and based on getting the best return on your investment. This could get tricky if you’re planning to go the owner-occupied property route because essentially your property investment is also your home. A general rule is to let your heart weigh-in, but let the numbers have the final say. Do your research – Investigate various locations for potential property investment opportunities. Find out what the nearest schools are, identify new developments or the condition of neighborhoods within close proximity. Look up the crime rate…think like a potential renter. Understand what would be least and most attractive to your ideal tenants. Consider a property manager – Property management teams partner with property owners to handle administrative, legal, and maintenance repairs associated with their investment portfolio. First time property owners may find this option helpful as property mangers assist in getting vacancies filled, making sure tenant/landlord laws in your state are followed and ease the stress of having to maintain the property alone. Become familiar with property taxes – Once you begin expanding property investments, think seriously about getting a tax adviser. The more property you own the more you’ll be expected to pay in property taxes. Investment property taxes are considerably higher than homesteads and primary residences. According to financialsamurai.com, Rental property mortgages alone are up to one percentage point higher than primary property mortgages. Be patient, be strategic – Don’t rush it. Unless you plan on flipping homes, investment property is a long-term commitment. Take time to research potential investments, build a financial fortress, and learn all you can about investment property ownership before diving in. The growing real estate market could be the ideal investment move for first-timers at any stage in life. Doing your research to make sure you’re not financially overextending, settling on a clear strategy and continuing to learn all you can will have long-term payoff. Property investment can be a rewarding path to financial independence and leave a lasting financial legacy for family generations to come.